To be clear - that is my index finger. 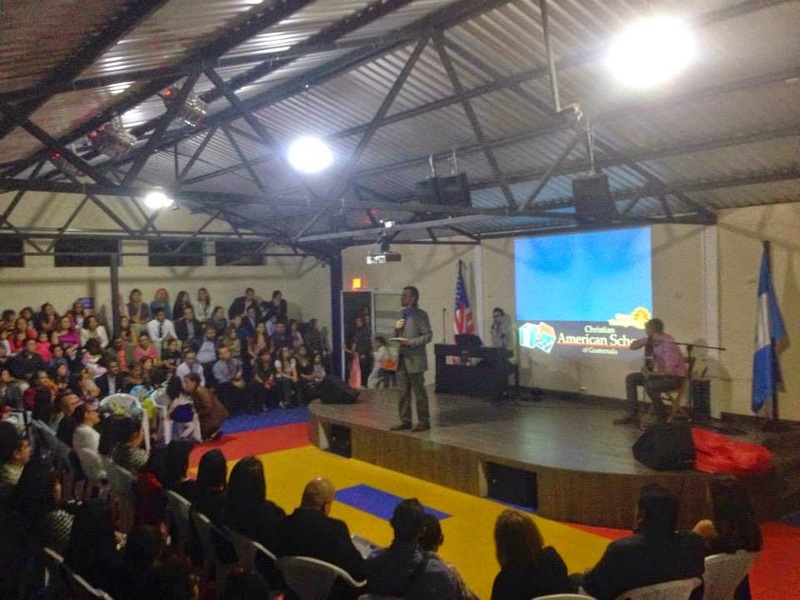 This past Sunday was another new experience, not only for me, but also for an incredible congregation here in San Cristobal. For sure, they've had gringo-speakers before, but perhaps not one quite like me. I was described as "a sort of Harley-Davidson rider meets Hipster meets Lumberjack, that is a pastor and somehow makes it all work." Eddie is to my right, and thank goodness for Eddie... he's a translator. I thought I'd start out in Spanish and so I tried a couple of quick sentences. Nothing complicated, just sort of a "Good morning, my name is Chad Shepherd. I am the Principal of Christian American School and also the Pastor of Journey Church." << Chirp, chirp. >> Dead silence and blank faces. Eddie bales me out by saying what I swear sounded exactly like what I said (to me) and suddenly the room is smiling and nodding. Well... I guess I've still got some learning to do. And so full English it was! Eddie and I had fun, we even taped our Styrofoam cups of water together and in unison said, "cheers!" Thank goodness, some things are universal and we were met with enthusiastic laughter. After that, Eddie and I found a rhythm and things went surprisingly well. They did not throw me out, and I think we have an excellent partner church for Journey. Iglesia Fresca Presencia is very active in local missions, and we're going to do some team projects! It is amazing how God works things out. In 2015 we expect do share in some construction, some feeding, and some life change as we walk some paths together. These past few months have had in-roads with community that I never could have organized on my own. This life here is just a constant speaking of "yes" as we learn to walk in obedience to the path God lays ahead. 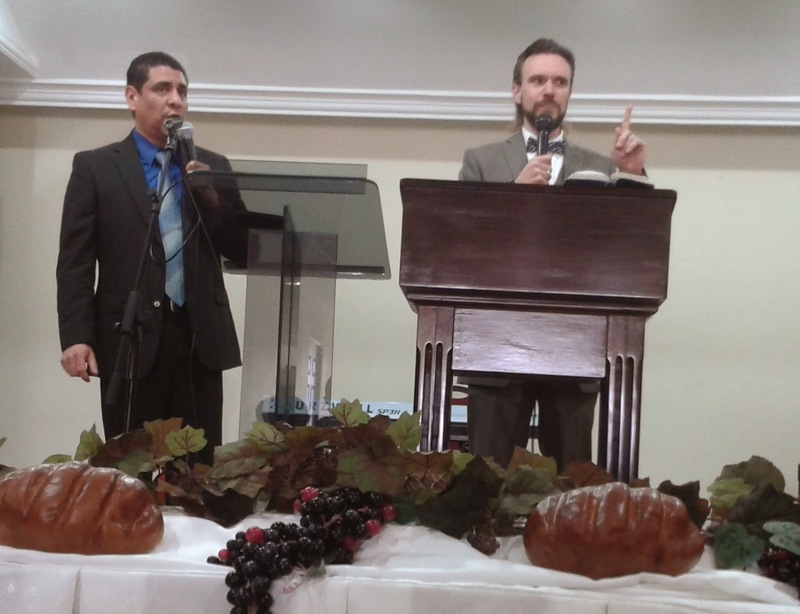 This past Thanksgiving was an opportunity to share a worship service with the families of Christian American School. My friends David Toledo & Chad Meers (Uno) sang with us before I stood up to speak. I shared a story about my Grandfather, the story of creation, and the story of God coming to earth to restore us back to a face to face relationship of walking with Him. My attempt at Spanish somehow went over better here, but I still used a translator for nearly everything. Oh... just to clear up any confusion about my Spanish, check this little gem out. It's bringing smiles and laughter to Guatemalan households every day. I've even been pointed at in public TWICE now by children. For sure, we've had new families come to the school after seeing my video, but I think it's kind of like, "hey... let's go see the funny Gringo-man." Whatever it takes...right? God is using our feeble efforts. We couldn't be happier. So here I am, speaking English in a foreign land that is now my home, and I'm bringing laughter across the city as they listen to my "Perfect American accent" as I do my best to be a Chapin. I'm off to jump on my hogg, wearing a bow-tie, so I can cut down a tree and yell "Yo soy Americano!" Hasta la vista, baby. Peace out. Volcano Fried Bacon (Move aside KFC).